I’m a big fan of kickstarter.com and when they have something that I might like they notified me and this one really peaked my interest. 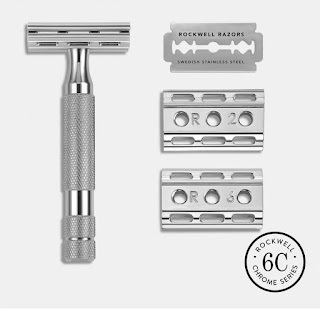 A company called Rockwell was coming out with a new DE razor that adjusts to your skin type and stubble length, so you get a close, comfortable shave - every time. Over 2,054 backers pledged $98,915 to help bring this project to life. I was backer number 22. I went for the early bird special and got in at $40. The project was successfully funded on Oct 21, 2016. I don’t often jump into things like this but with KickStarters it does often pay to be first. 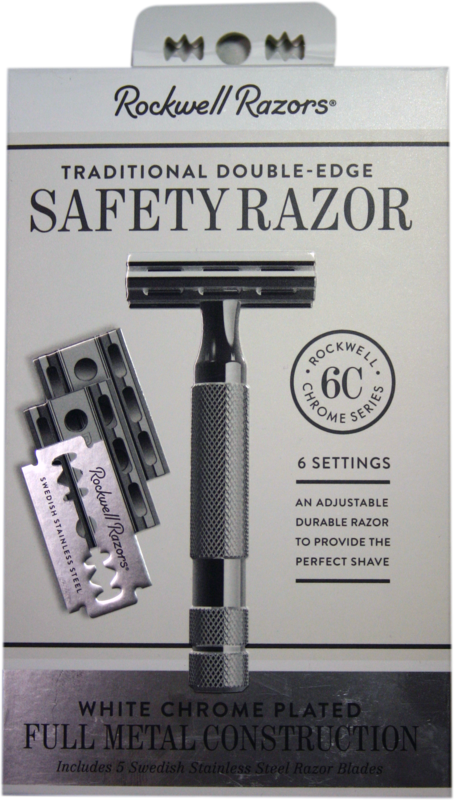 On May 10th, the parcel arrived and to my surprise they included an additional 70 blades from the 30 they had offered and added a very nice Rockwell Razor Bank to complete the package. 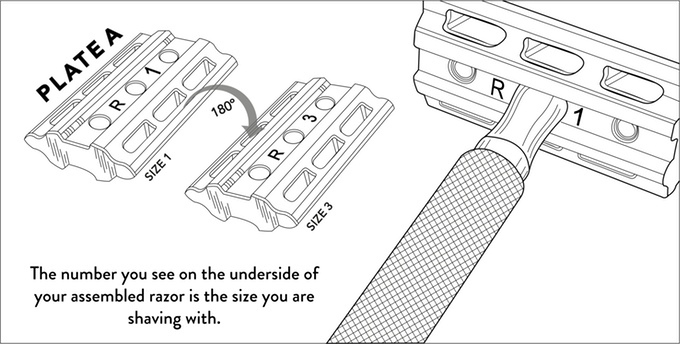 The razor itself comes with 3 adjustable plates numbered 1-6. Starting with number 1 being the least aggressive and then moving up to 6 which is for coarse curly thick hair. 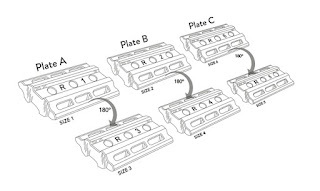 The plates are designed to be flipped so each plate has two settings making up the six selections. 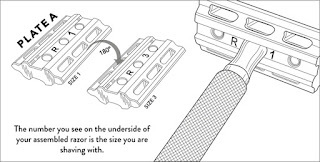 The exposed number you see on the bottom of the razor when fully assembled is the size setting you are shaving with. I selected R3 for my shave which is for average skin I didn’t use the supplied Swedish Steal Rockwell blades since I prefer Personna Blue. I use these in all my razors and this one will be no exception. When dropping in the blade it was perfectly aligned and didn’t need and further adjustments. When assembling the razor, I did notice a slight resistance when screwing the handle onto the base but after a few tries this seemed to disappear. When the perfect shave happens, you know it and everything comes together and it did with the Rockwell 6C. I didn’t even have to struggle finding the correct angle. The razor performed flawlessly taking away 6 days of growth with ease it was a very close shave indeed. The balance and weight are perfect for me along with it’s fantastic grip it felt very comfortable and was easy to maneuver. My post shave feel was outstanding and I have no doubt the razor was responsible. So, I had a great shave and I feel that the Rockwell 6C was well worth the wait. The question is would I pay $50.00 for it now. I would absolutely purchase one no question. 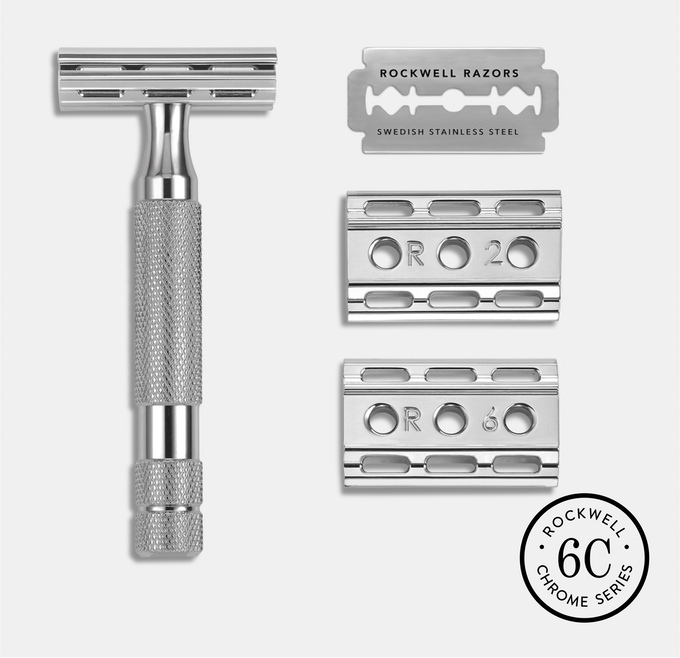 *Side note, Rockwell is coming out in July with the Model T razor. This is a twist to open that you can dial in the closeness setting right on the razor. I’m already a part of that Kickstarter as well the early bird was $79.00 compared to $40 for the model 6C. If its anything like the model 6C it’s going to be outstanding.